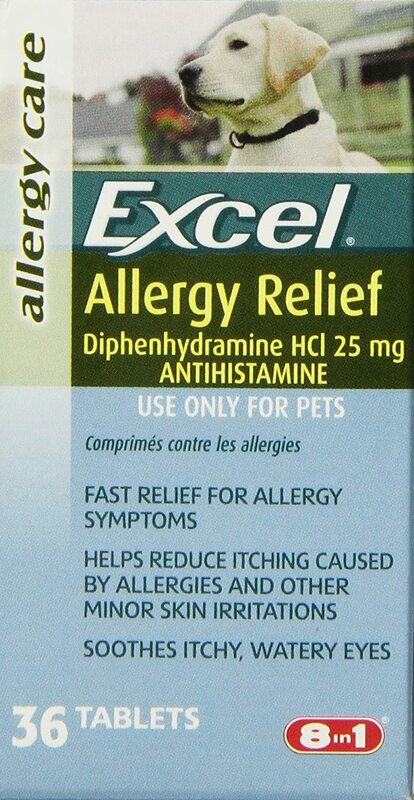 Excel Allergy Relief relieves allergy symtoms in dogs with this fast-acting formula. Coated tablets are easy on dog's stomach. Same active ingredient as leadin allergy remedy in human market. Also idea for symptoms associated with insect bites.